We'll start our 2019 Track previews off with the Class 5 Girls 1600m. This race will see five All-Staters return from 2018, and an additional 6 State Qualifiers. I foresee this being a three way race between last years 3-5 finishers, with Liberty Senior and Iowas State signee Madelynn Hill being the slightest of favorites. She comes in with a Mile Time (1609m) of 4:57 that she ran at Festival of Miles last season, and placed 5th last year at the State Meet. She had a stellar XC season, placing third at State, and will look to build upon that momentum on the track. To win it though she'll have to overcome to people who beat her last season, Tessa Valdivia and Madison Hulsey. Valdivia is coming off a very strong performance at State XC where she placed 2nd, and comes into 2018 with the fastest 1600m PR in Class 5 with a 5:01. She placed 4th at State a year ago with a 5:05, and I think she's a great sub 5:00 candidate this Spring. Madison Hulsey had a breakout season last year, placing third in at State with a 5:05. She had another rock solid year in XC and she's another one I think is could run below the 5:00 this season. 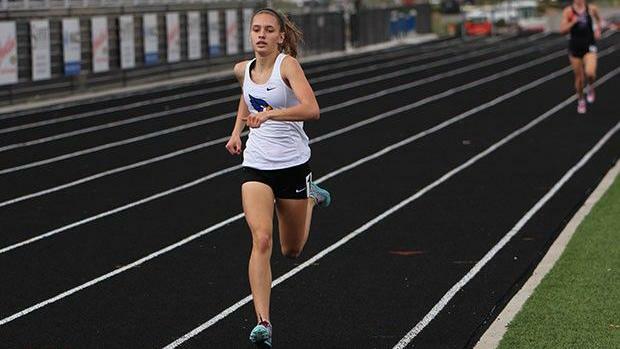 Below you will find my full top 8 subjective rankings, along with a few honorable mentions including XC Champion Ginger Murnieks who hasn't yet ran full 1600m, as in Oregon they contest the 1500m instead and Freshman Phenom MaKayla Clark of Lee's Summit who sports a 4:39 1500m from this past summer.